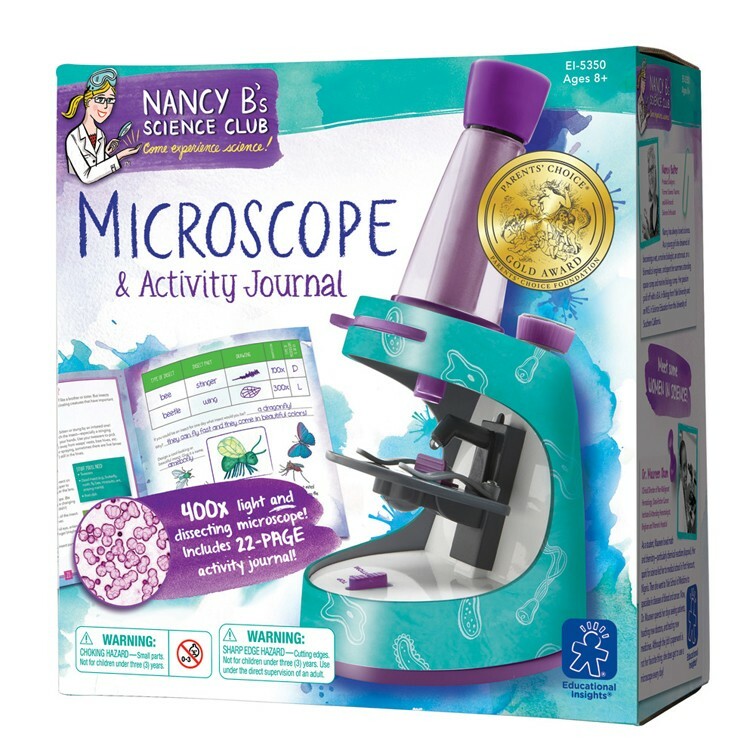 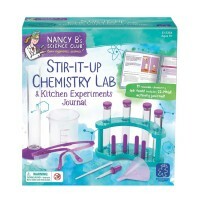 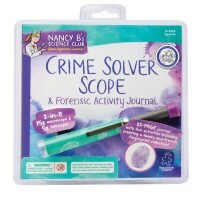 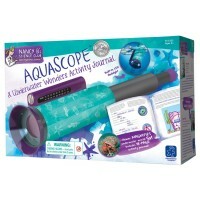 This Microscope Science Toy from the Nancy B science and exploration toys series comes with the activity journal to make your nature observation more fun! 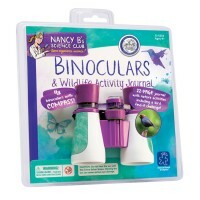 Nancy B. 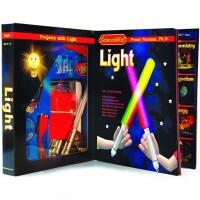 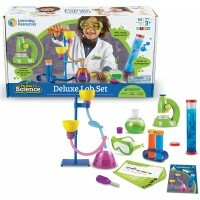 's science club, created by Educational Insights, introduces a new cool science toy that will bring great nature learning fun for kids. 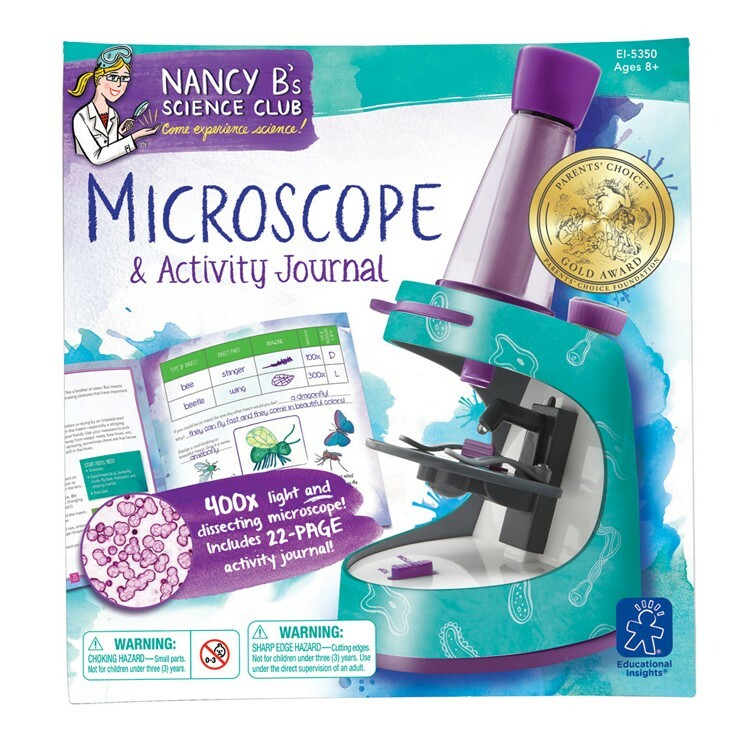 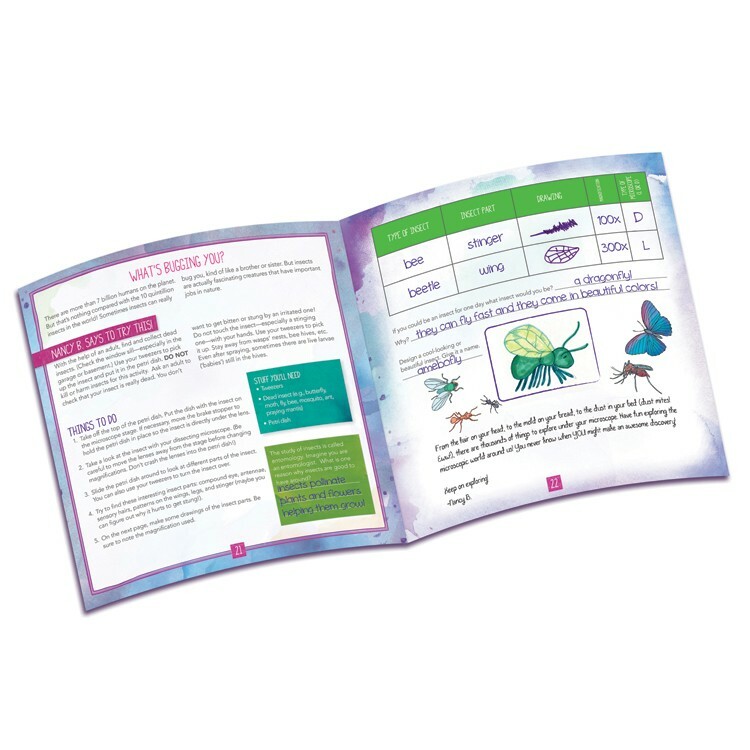 Microscope and Activity Journal Science Set lets the young explorers get close up and personal with some smaller things around them. 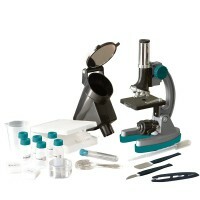 This award winning science kit from Educational Toys Planet includes a 400x 2-in-1 light and dissecting children microscope. 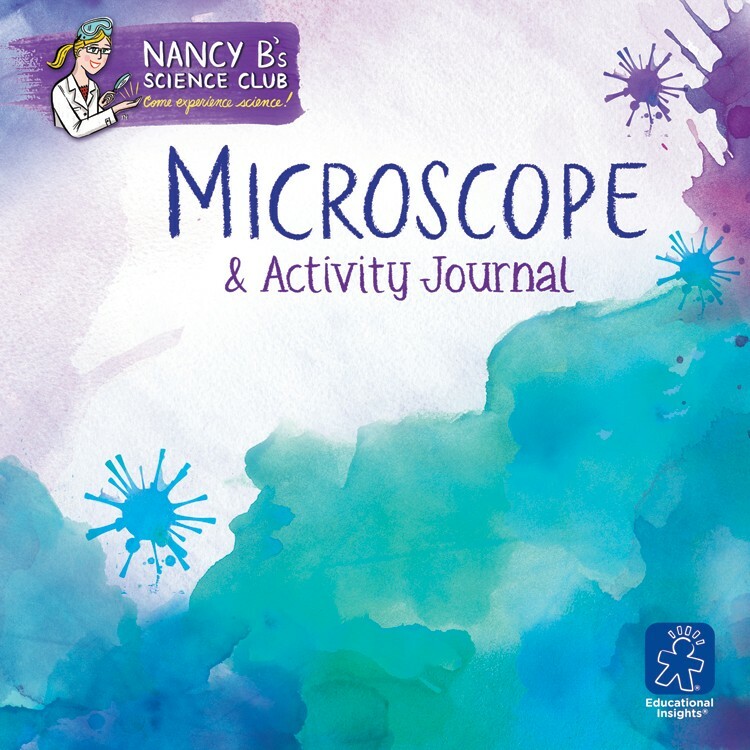 Microscope and Activity Journal Science Set comes complete with 22 pages activity journal that offers experiment challenges, observation activities, data collection, drawing projects, creative writing, and much more. 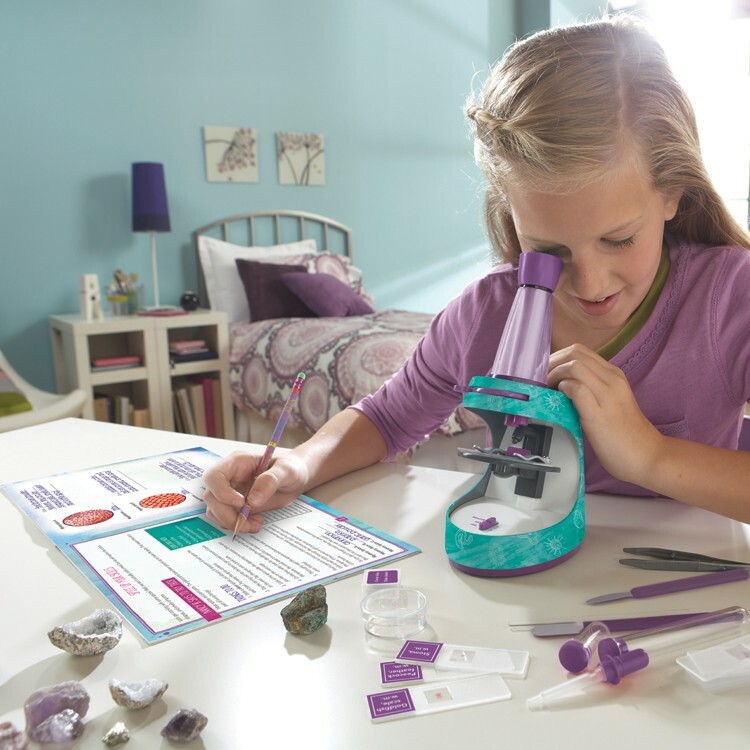 This children science toy is a great gift to introduce micro biology and independent research, teach kids about natural science, and keep the young explorers busy. 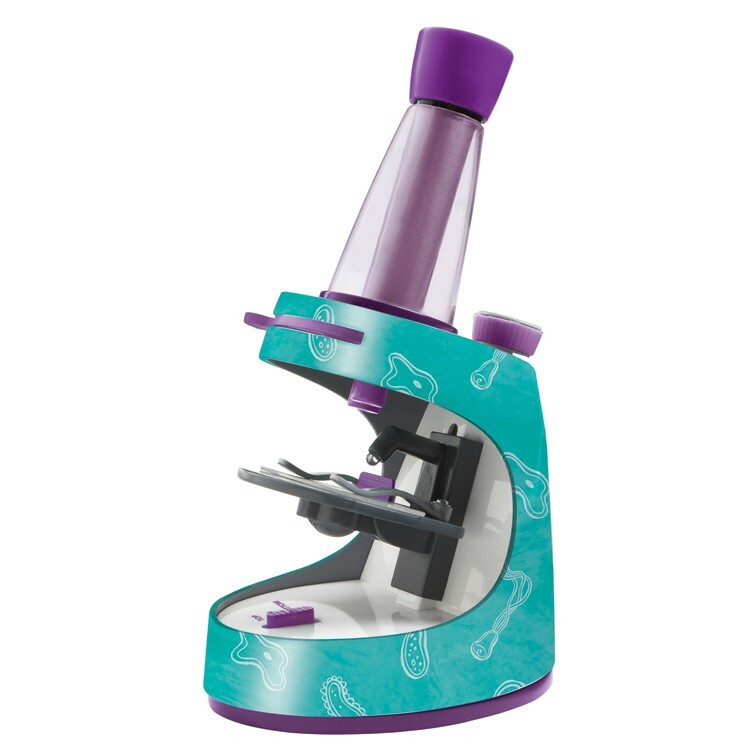 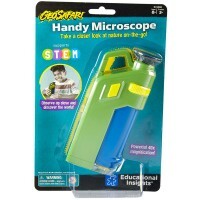 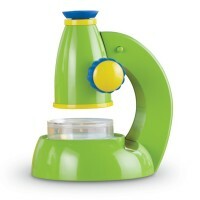 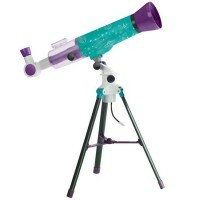 The kids microscope from this nature science set requires 3 AAA batteries (not included). 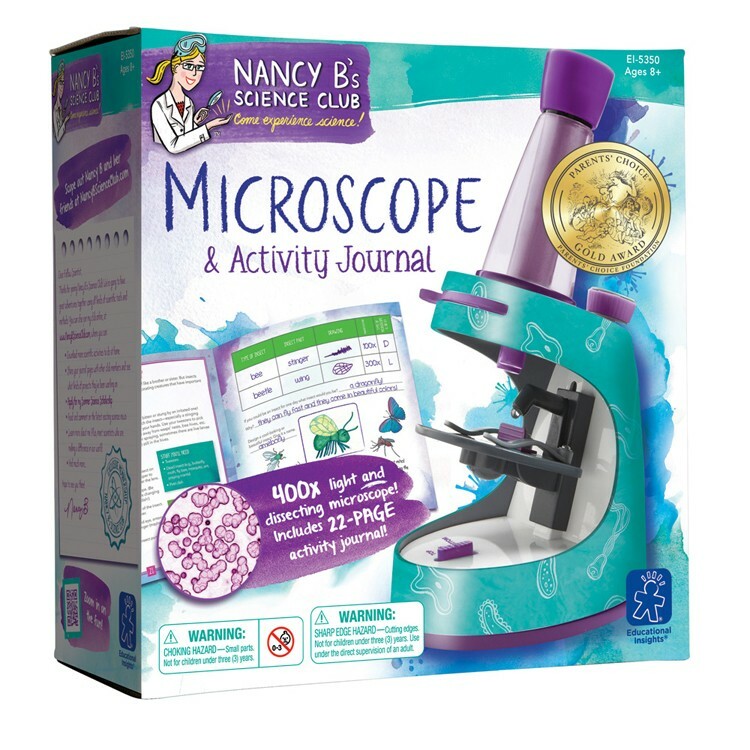 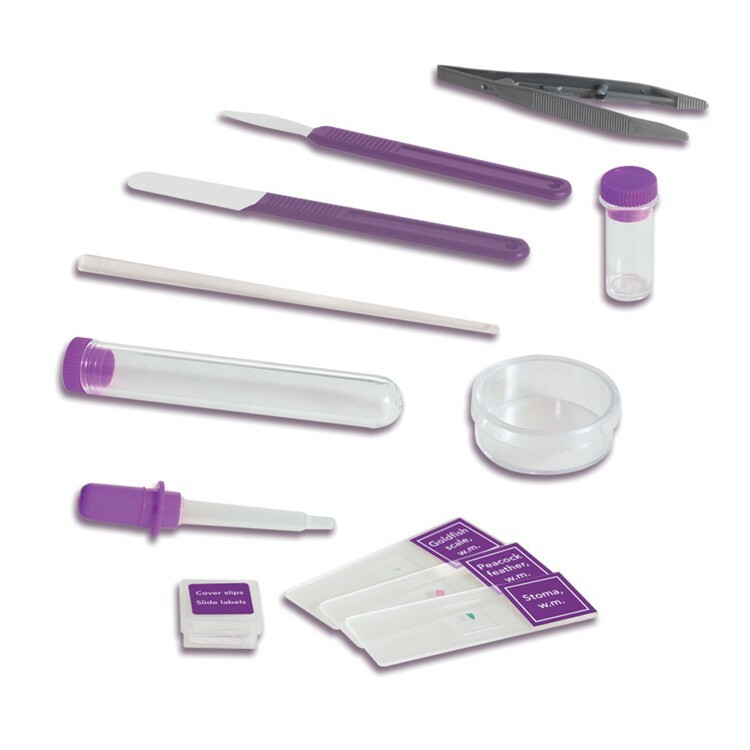 Dimensions of package 9.25" x 8.75" x 4.25"
Write your own review of Microscope and Activity Journal Science Set.